Rugged enough for the most off-grid adventures, follow the best tracks with colour TOPO maps, a compass and multisatellite GPS. 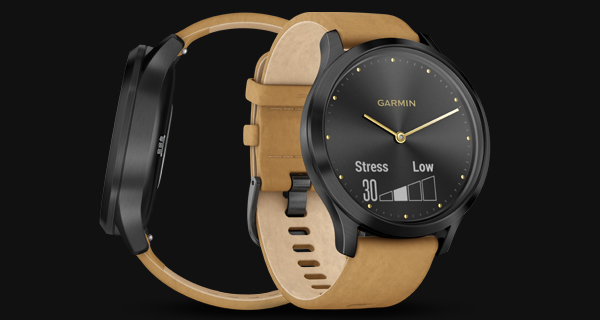 A collection of stylish Hybrid Smartwatches with hidden touchscreen displays and real watch hands, the Garmin Vivomove HR will help you get fashionably fit. Giving you the best of both worlds, this stylish smartwatch will let you swipe though messages, track your heart rate and monitor your wellness with all-day stress tracking. 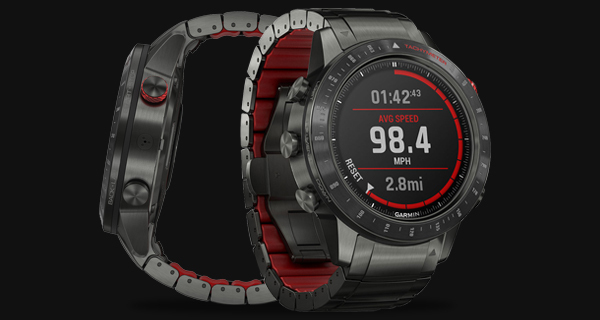 Designed for athletes and outdoor adventurers, the Fenix 5 Plus is a rugged multisport GPS smartwatch which will help you take your workout off the beaten track. Featuring colour TOPO maps and wrist-based heart rate monitoring, it’s also a great urban companion with contactless payment solutions and enough storage for up to 500 songs. Each one championing an active lifestyle, the Garmin MARQ collection is a series of five extraordinary luxury tool watches that focus on the athlete, the outdoor adventurer, the captain, the aviator and the race enthusiast. Shop Garmin watches from as little as £52.50 per month. Ever since they first began in 1989, Garmin has pioneered GPS navigation and wireless devices designed for people who want to get the best out of their active lifestyle. Inspired by their mission to design products that form an essential part of their customer’s lives, they are continuously working to develop technology that will not only promote a healthy lifestyle, but can help even seasoned athletes reach their fitness goals. 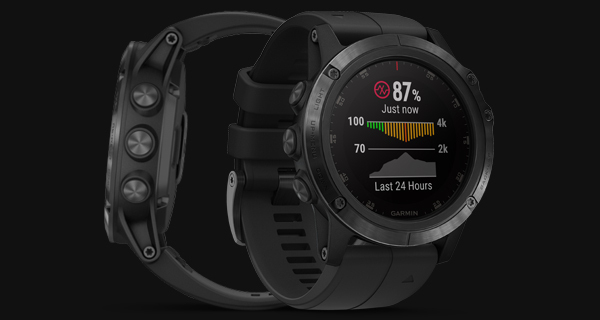 Whether you’re using your Garmin to improve your fitness, to track your progress or to keep pace with your most rugged adventure, you can be certain that its compelling design and innovative features will go the distance. Why Choose A Garmin Smartwatch Watch? If you’re looking for high-tech fitness features then look no further than a Garmin smartwatch. As well as cool features such as specific sport profiles and all-day stress tracking, some models will also monitor your blood oxygen level to ensure you’re performing at your best even at high altitude. Garmin’s fitness monitoring tools are great for tracking your progress. Ideal for keeping motivation levels high if you’re at the start of your training journey. Stylish design and interchangeable straps make Garmin a sporty smartwatch that you’ll be just as happy wearing at work, as you are during your workout. Named Hybrid watch of the year in 2017, the Garmin Vivomove HR is the perfect choice if you want a great looking watch with powerful smart functions. Good levels of water resistance ensure you can keep track of your performance in all kinds of weather.